A mother’s milk is precious for the health of her baby. This God-given, natural food has dramatic health benefits that cannot be found or replaced by other food on Earth. It has been proven time and again that breast milk contains the right combination of nutrients, vitamins and minerals that is required for the baby’s growth and development. It also contains antibodies from the mother which can help the little one combat most of the life-threatening infections and diseases. It is recommended by WHO, health experts and paediatricians that a baby must be exclusively breast-fed for the first six months of his life. In fact, breast feeding must start within one hour of birth and should be given to the child whenever he/she demands it, both day and night. 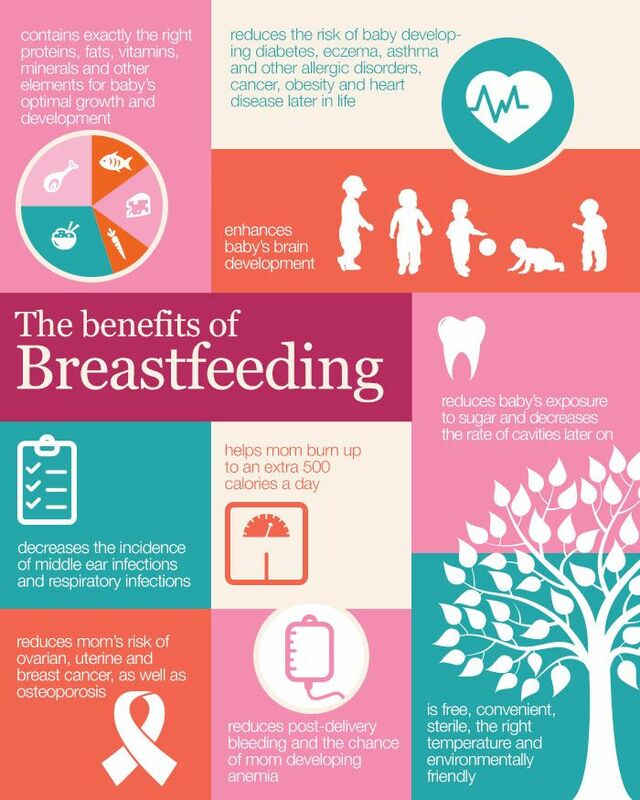 After six months, paediatricians recommend breastfeeding in combination with other foods up to two years. 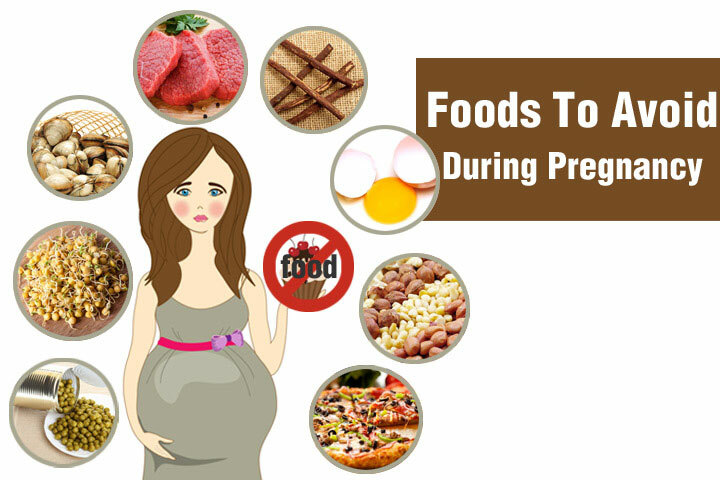 But statistics and surveys have revealed that most mothers do not follow this which leads to health issues in the baby. When a baby is born, his brain is just ready for function but not developed completely. There are trillions of neurons present in the nervous system which are not just connected and this process happens over a period of time and requires the presence of a particular kind of fat. Only if this fat covering is present, will the child’s brain develop in the right manner. This fat is present in the required quantities only in a mother’s milk. Colostrum, the first milk produced by the mother right after child birth, contains secretory immunoglobulin A (IgA) which forms a coating or layer over the newborn’s mucus membranes like nose, throat and intestines and thereby help in guarding against the invading germs. According to scientists, phospholipids and long-chain fatty acids make up two-thirds of the brain weight. The important acids are arachidonic acid and DHA or docosahexaenoic acid. Breast milk contains 30 times more DHA than cow’s milk or any other substitute which makes it the most healthy option for your little one. It is important that infants get at least 20mg DHA per kg body weight every day. Lesser incidence of ear infections, diarrhea, respiratory illness, stomach infections, colds and allergies in breast fed children. 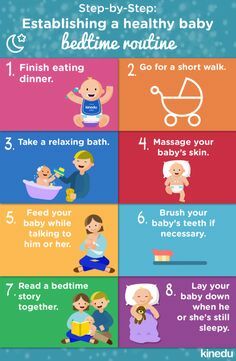 Breastfeeding also promotes better mother-child bonding; the act of suckling and the intimate time spent together lays the foundation for a loving and trusting relationship. 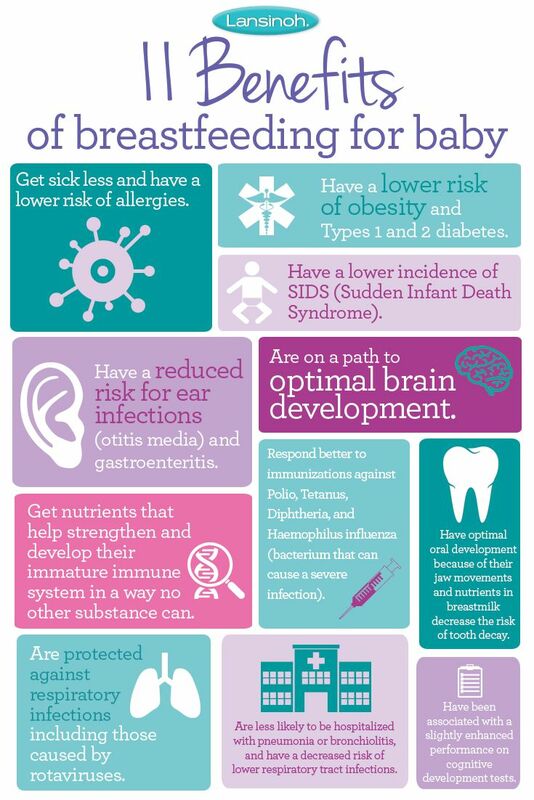 It is the duty of every mother to ensure her child’s health and there is no better way than to breast feed her child. After all, this is an act of love.